Golf Bow Ties. Hole in One Bow Tie, Oneholer Bow Tie, More than Two Holes in One, King Oneholer Bow Tie, Captain Golfer and Past Captain Golfer Bow Ties. Hole in One/Oneholer Bow Tie Maroon Polyester. Maroon Background with All-Over Registered ..
Hole in One/Oneholer Bow Tie Maroon Ready Tied. Maroon Background with All-Over Registered..
Hole in One/Oneholer Bow Tie Navy Blue Ready Tied. Navy Blue Background with All-Over Regi..
King Oneholer/Hole in One Golfer Bow Tie Ready Tied. Maroon Background with All-Over Regis..
Past Captain Golfer Bow Tie Ready Tied. 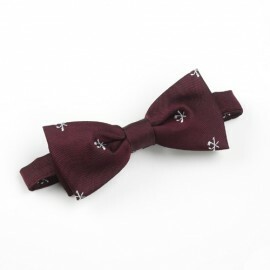 Maroon Background with Corded Stripe and All..
Past Captain Golfer Bow Tie Self Tie. Maroon Background with Corded Stripe and All-O..